Posted byEmpress Of Drac	 September 29, 2012 December 1, 2012 13 Comments on Which Credit Card Company is better: HSBC or Metrobank? Choosing the right credit card can be a bit tedious. Credit cards nowadays have so many features that vary from bank to bank, from provider to provider. Interest rates, rewards, special offers, and spending limits are just a few of the factors that a consumer should consider when they start searching for the perfect credit card that fits their financial needs. There’s a lot a stake with a credit card: choosing the right one can have a huge impact on your savings and spending habits. I’d like to discuss credit cards available from two banks in particular, HSBC and Metrobank, each of which have tempting features for every type of customer. Let’s take a look at what each bank has to offer. What you get from a credit card from HSBC? HSBC is a bank operating on a worldwide scale. As such, it has a lot to offer for potential credit card owners. As part of a special introduction deal, people who sign up for a credit card through HSBC will enjoy a 3 month period without any interest incurred on purchases. After the initial 3 months have passed, cardholders will be responsible for a 17.9% APR variable on the subsequent balances from their purchases. There’s no annual fee for having a credit card with HSBC, so that’s good news. HSBC offers a number of incentives that will appeal to the web-savvy consumer. A person with an HSBC credit card can view their balance and payment history online, making managing finances online easy and safe. Cardholders can even transfer balances between accounts with HSBC for nearly two years if they need to move money around. The bank also offers special holiday deals for its cardholders, including discounts at select stores and with certain online services, and even more discounts when you travel internationally. What you get from a credit card from Metrobank? Metrobank also has enticing features for their credit cards. Unlike the HSBC credit cards, Metrobank offers a variety of credit cards that suit specific lifestyles and financial habits. I’m going to examine the Metrobank Classic/Gold cards, as they appear to be among the more popular cards the bank offers to its customers. The Metrobank Classic/Gold cards require an annual fee (Php1, 400 for Classic, Php2, 500 for Gold), but that fee is waived for the first year. Metrobank charges a monthly finance fee of 3.5% of the balance on the cards, and the cards require a minimum gross annual income which changes depending on whether you get the Classic or Gold model. Cardholders can view their payment history and pay balances through Metrobank mobile apps and online banking services. The upside to the Metrobank Classic/Gold cards is that both operate with a built-in rewards system. Specifically, cardholders get one point for every Php20 spent, and they can use those points on anything from travel to dining out. Cardholders can spend their Metrobank card points to get cheaper flights, hotel prices, and meals at any number of destinations. It’s definitely a great card for traveling consumers! It’s hard to say which card is better, as both have their own pros and cons. HSBC credit cards don’t have an annual fee and their interest’s rates are fairly low, but it doesn’t seem like they have a well-established rewards system. Metrobank cards have higher fees and tighter restrictions, but they have a great rewards system, particularly for people who want to travel and spend their money on luxury items. Which card looks more enticing to you? Eliza Morgan is a freelance writer and blogger working for BusinessCreditCards.com. She writes about small businesses, personal finance, and web entrepreneurship among other topics. I have to say, HSBC have always been good to me and are a great bank if you travel a lot. They have branches in most corners of the world so are perfect if you tend to go away a lot on business or visit family. Credit cards have become a compulsion long time ago. Its not a great deal to have a credit card, seeing this a s a growing need of the masses, our banks are trying to come up with the best of offers to keep the consumer using the credit card. Now the offers we see from HSBC and Metro are both tempting and the consumer has to decide which bank’s card will suit his requirements better. All I can say is that its a very competitive market for any product or service. Being a consumer I will always think about the services provided from the company. If I am to get a credit card I will go for the bank which gives me more freedom as well as security to carry on my transactions. So looking at HSBC and METRO from a customer’s point of view I would go for Metro because it gives me freedom to use my card while traveling which is very helpful for travelers. 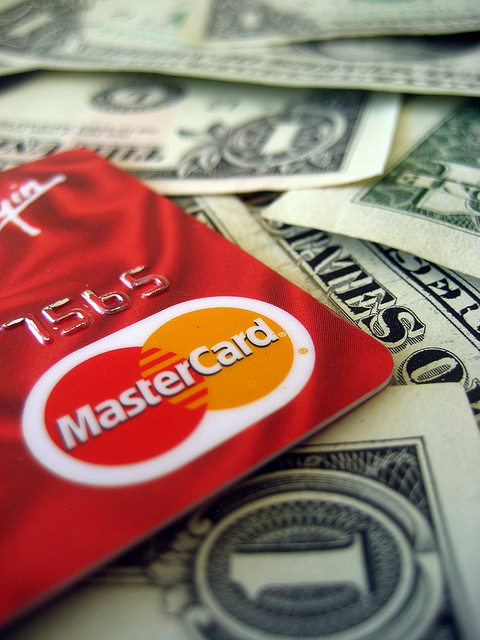 Choosing a credit card is hard, it is best to do some research before you make any decision. Credit cards are a necessity today from a number of aspects. They not only give you a hassle free transaction but also ensure that you don’t fall short of money anywhere. I really like the facilities that a credit card provides. I am not in favor of any particular bank’s credit card but I generally like credit cards, they are really useful. Now looking at the privileges I will vote for HSBC’s credit card. Credit cards are undoubtedly very useful but like clearly mentioned in the posts is the fact that different companies offer different services, so you must be clear with what you want. If you want your credit card to help you only and don’t want anything in return then you should go for the HSBC credit card. I think credit card selection depends on the requirements of the person and what services does he expect from the bank.I have found HSBC bank offering the best plans according to my set of requirements.It is very important that we do some research on their services offered to fit your needs and convenience.Thanks for sharing this great post and it was quite interesting reading it. Thanks for sharing this interesting post.I have used the Metrobank credit card and it gives me quite good services according to my requirements.First of all before selecting my card i had researched little bit as Jenny said and it helped me know which would be better for me. I have both of them. They are equally useful for spending. I also have bank accounts with BPI, which I use to settle the HSBC and BPI bills through internet banking. As for Metrobank, I need to write a check and send the office messenger to the Metrobank branch to pay. This is still convenient, as he has to go there for other office-related business anyway. However, if the office did not have regular transactions at Metrobank, I would not have gotton a Metrobank card. Personally I feel that HSBC has got better features to offer like they provide reward points based on the purchase category, eg; for advance visa card you earn 1 reward point for every PHP15 spent.ut thepoints listed in this article are pretty good considering both the cards. Between the 2, I’d rather choose the Metrobank. Metrobank has a wide branches nationwide. As long as there are near Metrobank branches into your area of residence or office, you can easily have their credit card. Unlike in HSBC, it is very difficult to get a card if your are not residing or working at Metro Manila areas. I think HSBC might be one of the most discriminating credit card issuer, as they only cater Metro Manila residents. Except, for Cebu & Davao, I don’t think one can get HSBC credit card if your are not residing or working in the places not mentioned to the specific cities. In my opinion, Citibank has the best credit card. Some will agree with me, some will not.